Figure 1. Homing Pigeon pattern. The Homing Pigeon is a two-line bullish counterpart of the Descending Hawk. It is also closely related to the Bullish Harami pattern. All these patterns belong to the harami patterns family. The first line, being a black candle, engulfs the second line, being also a black candle. The length of the candles shadows does not matter. 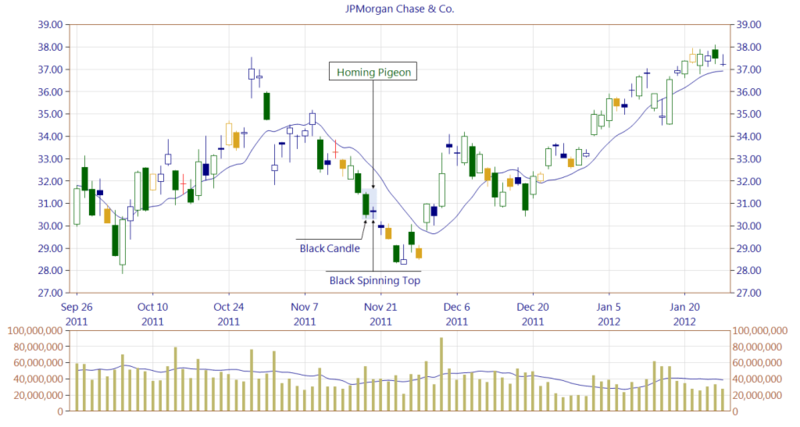 The first candle of the pattern can be any black candle appearing on as a long line, i.e. : Black Candle, Long Black Candle, Black Marubozu, Opening Black Marubozu, Closing Black Marubozu. The second candle can be any black candle appearing both as a short or a long line, i.e. Short Black Candle, Black Candle, Long Black Candle, Black Marubozu, Opening Black Marubozu, Closing Black Marubozu. 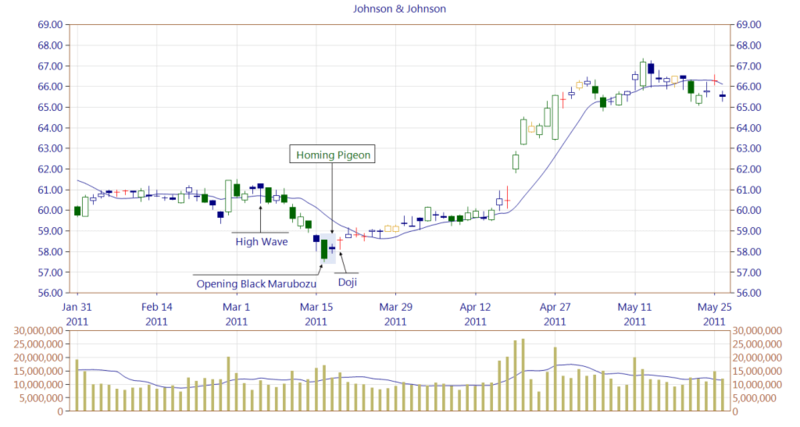 As a bullish reversal pattern, the Homing Pigeon needs to be formed in a downtrend because it predicts its reversal. The pattern must be confirmed on the subsequent candles. It may be for example an upward breakout of a resistance zone or a trendline and closing above the pattern. Otherwise, an appearance of the pattern should be seen as a temporary pause of a price decline. The one should be careful because the first line of the Homing Pigeon pattern forms a resistance area. Figure 2. Between a High Wave and an Opening Black Marubozu, a strong resistance zone is created. In such market context, a Homing Pigeon pattern is formed. Its first line, the Opening Black Marubozu, is closed by a Doji candle, which indicates, however, some market indecision. Indeed, the resistance area works for about a month and then the price breaks out upward. Figure 3. Similarly as in the previous example, a Homing Pigeon appearance is preceded by a resistance area containing, among other candles, two Black Candles. The bulls did not even try to stop the bears, and a day after the pattern appeared, the price drops. 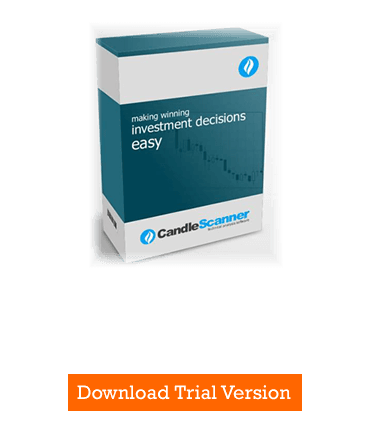 Below you can find some Homing Pigeon pattern statistics calculated by CandleScanner software. To see more detailed statistics, for other markets and periodicity try our CandleScanner software. Prices start at only $10, and you can see more detailed statistics, for other markets and periodicity. Click here to find out more!